Heaven. Yup, one word to describe this delectable breakfast treat. You may remember from my Cinnamon Streusel Coffee Cake that my family and I are HUGE fans of Entenmann’s goodies, especially my dad. My husband and I were planning a visit with my family I thought it was the perfect opportunity to bring them another baked goodie, reminiscent of the Entenmann’s line. A cheese danish was the perfect choice. Bake in the preheated oven for 20-25 minutes or until the filling is set and the dough is golden brown. 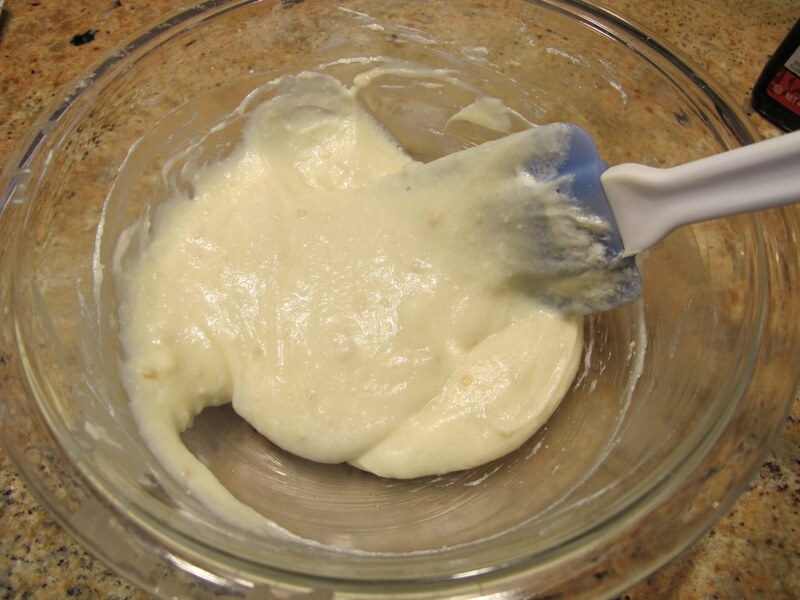 In a small bowl, microwave the vanilla frosting for 15 to 30 seconds and drizzle the icing over the danish and serve. This one is tricky to explain with just written directions so I included more pictures than normal for step by step directions because I thought they would be helpful. I like to make the cream cheese mixture first in order to have it ready as soon as I have the crescent dough unrolled. Unroll the crescent rolls, leaving the crescents in rectangles. 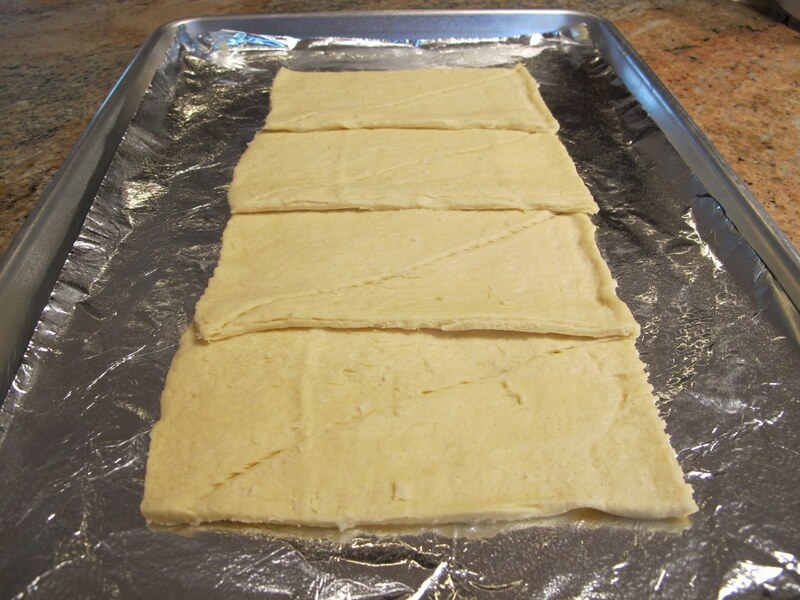 On the greased baking pan, lay the crescent roll rectangles together, lining them up so their longest sides touch. Make sure to press the edges together to even them out and seal any holes in order to keep the cheese mixture in the pastry. Cut 1/2 inch wide diagonal strips on each side of the dough from the edge to where the cheese filling will go. 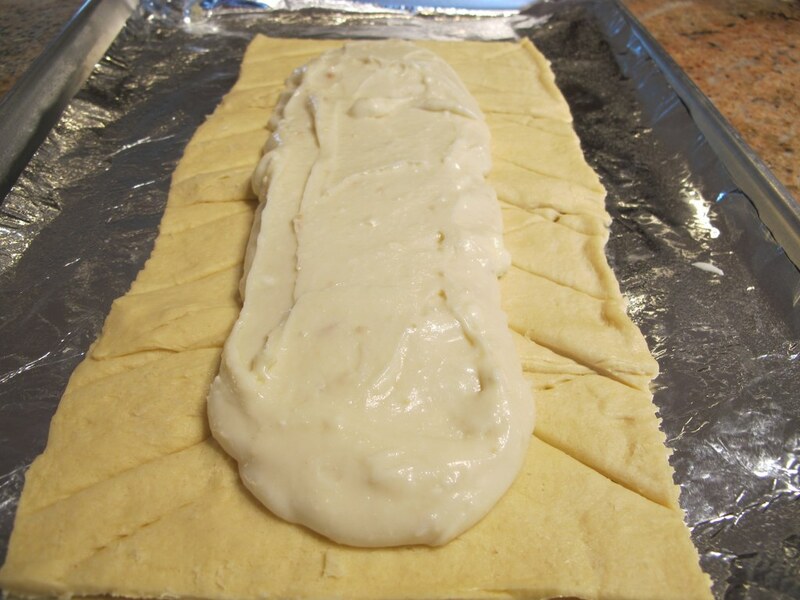 Then spread the cream cheese filling down the center of the dough, leaving 2 to 3 inches on the sides. 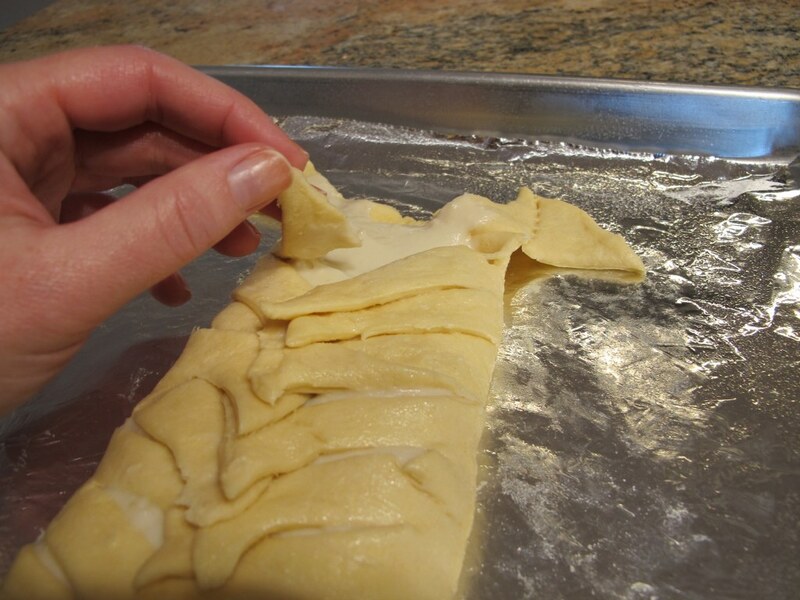 Fold the 1/2 inch dough strips up and over the filling, alternating sides to create a braided pattern. You can certainly omit the icing, but I’ll take any reason to add frosting to baked goodie. 🙂 Drizzle the icing over the danish once the it has cooled. 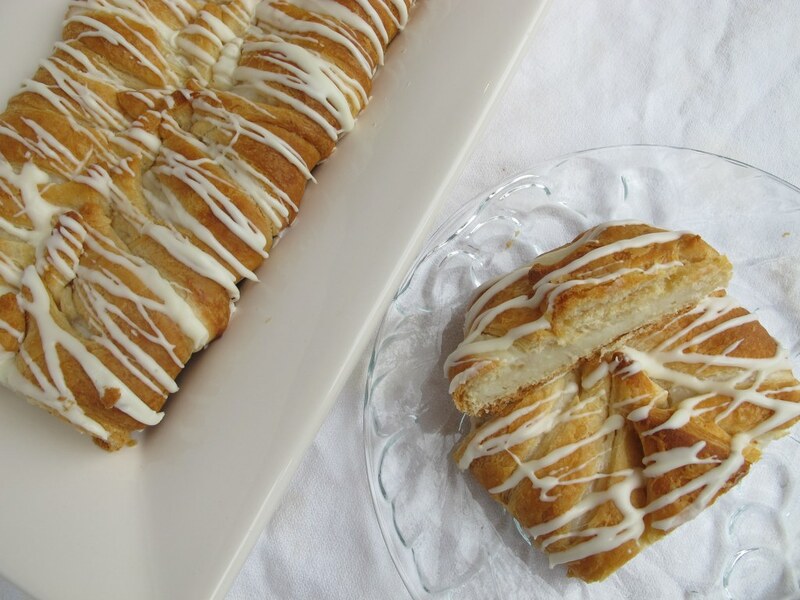 You don’t have to slave in the kitchen to achieve this pretty and delicious danish. It’s semi-homemade, using pre-made crescent dough and a can of store-bought vanilla icing. I’m sold and I know you will be too! Looking for other breakfast ideas? 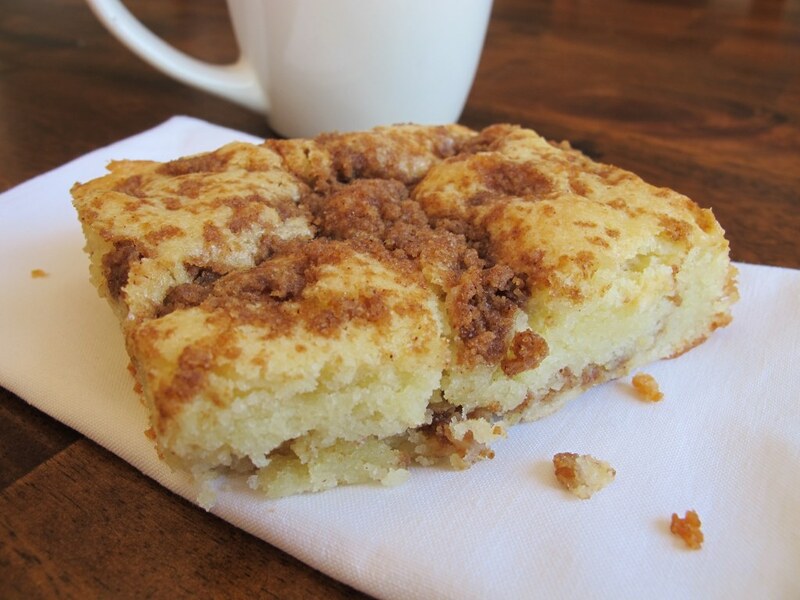 How about that Cinnamon Streusel Coffee Cake I noted earlier? 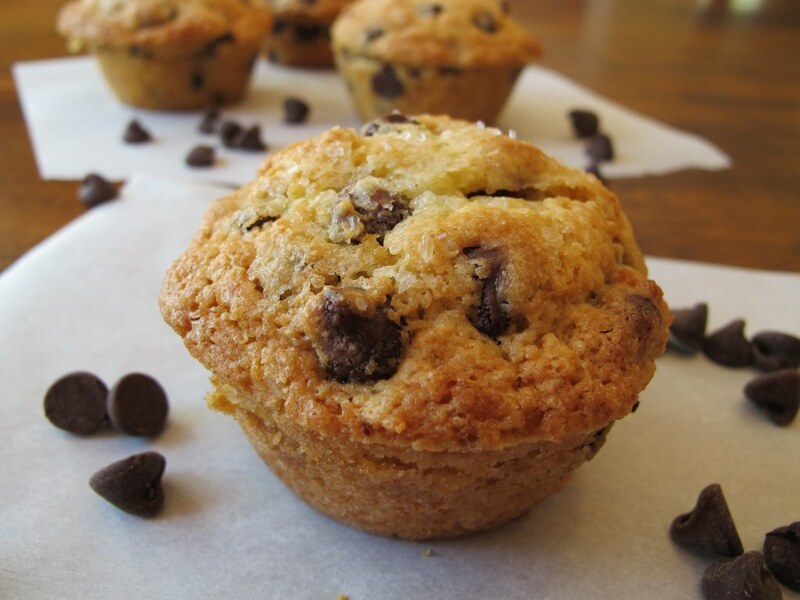 Or perhaps some High Domed Chocolate Chip Muffins. I used to love Entenmann’s cakes. It’s so cool you made a homemade version! 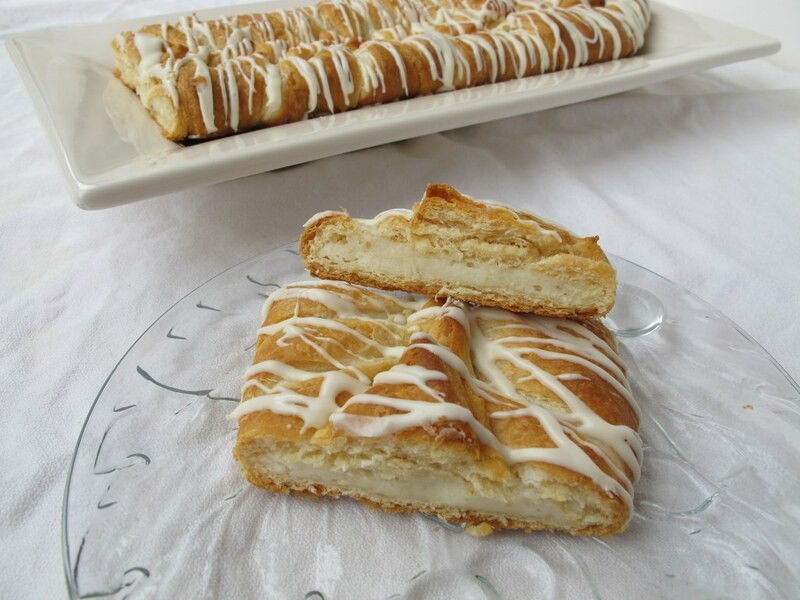 This looks great, I love how soft but flaky it looks – perfection. My husband loves cheese danishes, so maybe this would be a great surprise!? Oh my, this is making my mouth water all over the place. Looks delicious!! These are fabulous! 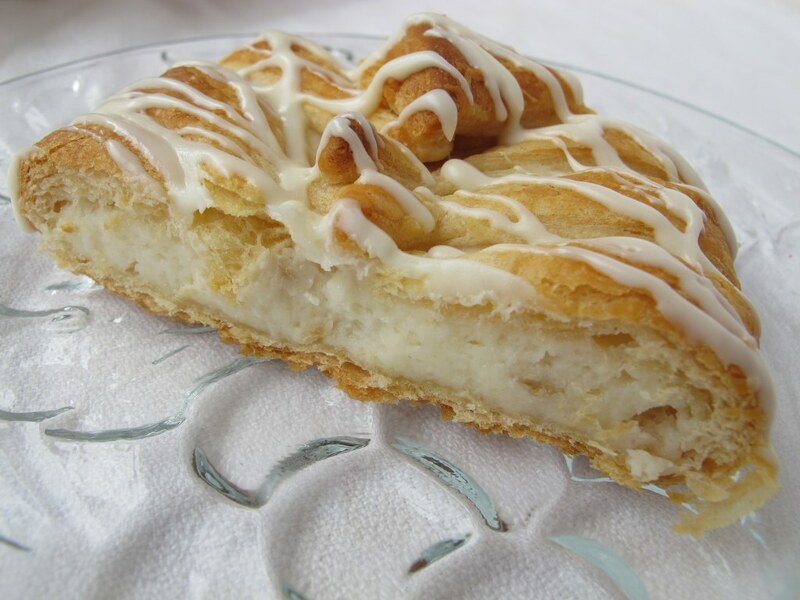 I love cheese danish. YUM! Oh my…I am so in love with these. It’s not even funny. You made it look so beautiful and simple! I bet the texture is absolutely devine! Pinned! Thank you! You are so sweet. 🙂 I know you’ll fall in love with this recipe! Yum. I love breakfast pastries! Love the simplicity of this one too! 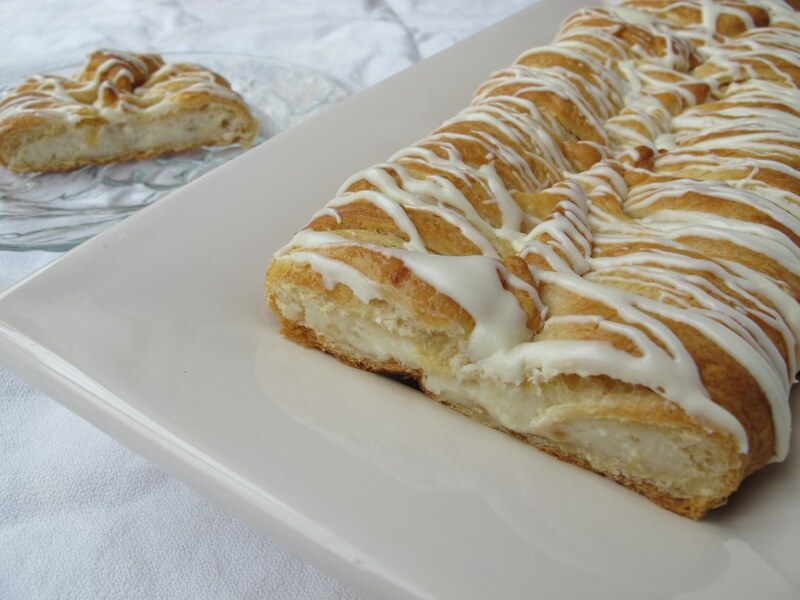 This Danish is YUMSCIOUS!! I used the icing from the apple Danish instead. Will definitely be making this again and again.